life of a lost muse: Buy One Get One FREE @ Paper Coterie! Buy One Get One FREE @ Paper Coterie! Valentine's Day is only a month away and Paper Coterie wants to help you send lots of love this Valentine's Day with their new collection of classroom valentines! Help your little one share personalized Valentine greetings with grandparents, aunts and uncles, friends, and classmates. Don't miss this wonderful opportunity to talk with kids about what they love and who matters most to them. 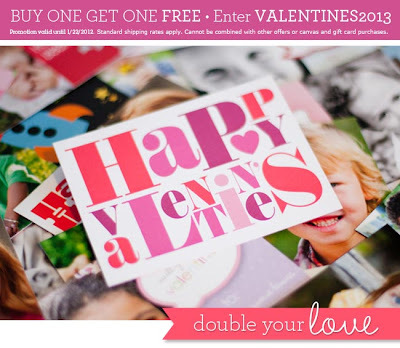 All Valentine's are BUY ONE GET ONE FREE when using code VALENTINES2013! That's a great deal! Hurry, though, the promotion ends on 1/22/2013. If you're new to Paper Coterie, then click here! If you're a returning Paper Coterie customer, then click here! It's The $300 Gift Card Extravaganza Giveaway! Valentine's Washi Tape @ Pick Your Plum! Get ready to go with HPNOTIQ! Check out Campus Book Rentals today! 25% Off @ Paper Coterie!